Doubtnut is India’s leading e-learning app, offering NCERT Solutions for Class 6 Maths for CBSE students. Get here NCERT Math Solutions for Class 6 as per the CCE marketing schemes provided by the CBSE. While solving the given question in case you face any difficulty in understanding the concept or you cannot structure the answer, you can anytime refer to our DOUBTNUT App. ALL THE BEST FOR BOARD EXAMS! NCERT solutions for class 6 Maths solutions includes all questions videos of all the chapters along with solved examples given in NCERT books as per CBSE guidelines. Here all questions are solved with detailed explanation which will help all the students to score good marks in examinations.You can watch the video solutions for free through which you can easily understand concepts of solving questions of NCERT and NCERT chapterwise solutions for class 6 Maths in pdf are also available in our website Doubtnut. you can download it from here. It would be great if you share the video solutions and pdf solutions with your friends which will be great help to them also. 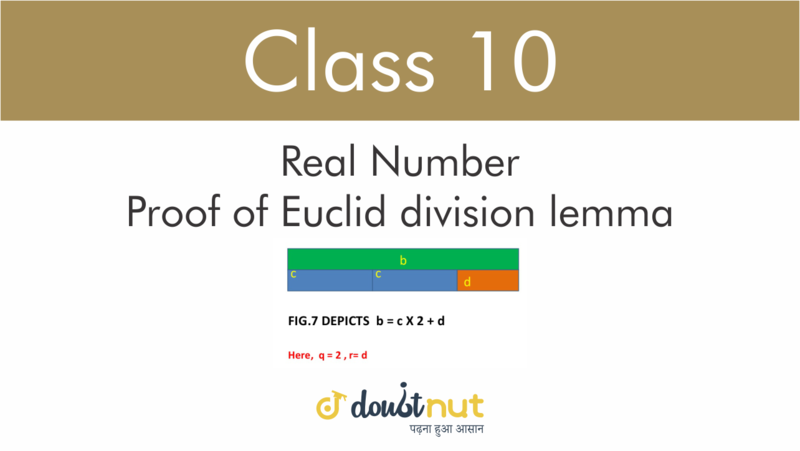 Doubtnut.com is India’s leading e-learning destination offering NCERT Solutions for Class 6th Mathematics by India’s top-notch mathematicians as per the NCERT textbook guidelines and syllabus. Get here 100% accurate and authentic NCERT Solutions in video tutorial format. These NCERT Solutions are prepared considering the latest CBSE guidelines, syllabus and marking scheme. In the making of video tutorials, our expert mathematicians have clearly mentioned every step and every formula implemented. Students who are looking to score good marks in Class 6 th Mathematics must put time and effort into learning the given NCERT solutions. For the ease of your learning, all the solutions are in a step-by-step manner for every question given in your NCERT text book. These NCERT Video Solutions will strengthen your fundamentals and will help you boost your score in the final examination. Refer to given NCERT Solutions anytime while doing your homework or preparing for final term exam. Play the exercise or any specific question that you wish to learn and realize the ease of learning online with doubtnut.com. Knowing Our Numbers is the first chapter in NCERT Maths for Class sixth. It is important to have good knowledge of number system as it forms the foundation of various other topics of maths. In-Depth knowledge of Knowing Our Numbers will help create your interest in mathematics. It forms a major part in mathematics. Provided here are the complete exercise wise NCERT solutions of Chapter 1 Knowing Our Numbers. It will help you will assist you in completing your homework on time and revise for school test and the final examination. Other than the given exercise wise solutions we have also provided the solved examples given in the NCERT textbook to help build your concepts on Chapter 1 Knowing Your Numbers. The Whole Numbers is the second chapter in Maths class 6 th NCERT textbook. Find here exercise wiseNCERT Solutions for Class 6 th Chapter – 2 Whole Numbers. The NCERT solutions comprise a detailed explanation of all the concepts such as Whole Numbers, The Number Line, Properties of Whole Numbers, Pattern in the Whole Number, etc. These NCERT video tutorials are prepared by our expert mathematicians to build an understanding of the basic concepts included in the second chapter of NCERT maths textbook – Whole Numbers. The NCERT Solutions for Class 6 Maths are prepared considering the latest CBSE guidelines, syllabus and marking scheme. In the making of video tutorials, our expert mathematicians have clearly mentioned every step and every formula implemented. Start practicing now! Presented here are all the solved questions for Class 6 Maths Chapter 3 – Playing with Numbers. These NCERT Solutions cover all the important topics including Factors and Multiple, Prime and Composite Numbers, Test for Divisibility of Numbers, Common Factors and Common Multiples, Some more Divisibility Rules and also solved NCERT exemplars. Check out now by clicking on the exercise name. Every NCERT video solution has been prepared in a simple step-by-step manner by our expert mathematicians and examination experts, to help strengthen your foundation in numbers. All Chapter Three – Playing with Numbers Exercise Wise NCERT Solutions are given here to help do your homework faster and study for the final examination. Play any video tutorial and start studying right away. In our everyday life, we observe a variety of shapes of various objects. In fact, every object around us has a unique shape, for instance, the shapes of a ball appear round, the shape of the book appears rectangle, and the coin appears round and so on… In this chapter 4 Basic Geometric Ideas, you will learn some interesting shapes from the everyday life around us including Points, A Line Segment, A Line, Intersecting Line, Parallel Lines, Ray, Curves, Polygons, Angles, Triangles, Quadrilaterals, and Circles. Solved Exercise 4.1 Introduction, Exercise 4.2 Points, Exercise 4.3 A Line Segment, Exercise 4.4 A Line, Exercise 4.5 Intersecting Line, Exercise 4.6 Parallel Lines, Exercise 4.7 Ray, Exercise 4.8 Curves, Exercise 4.9 Polygons, Exercise 4.10 Angles, Exercise 4.11 Triangles, Exercise 4.12 Quadrilaterals, Exercise 4.13 Circles and Solved NCERT Exemplars. The solutions are in a simple step-by-step manner. We have also provided the solved NCERT examples to build your foundation strong on NCERT Solutions for Class 6th Mathematics Chapter 4 – Basic Geometric Ideas. Understanding Elementary Shapes is the 5th chapter in NCERT Maths for Class sixth. 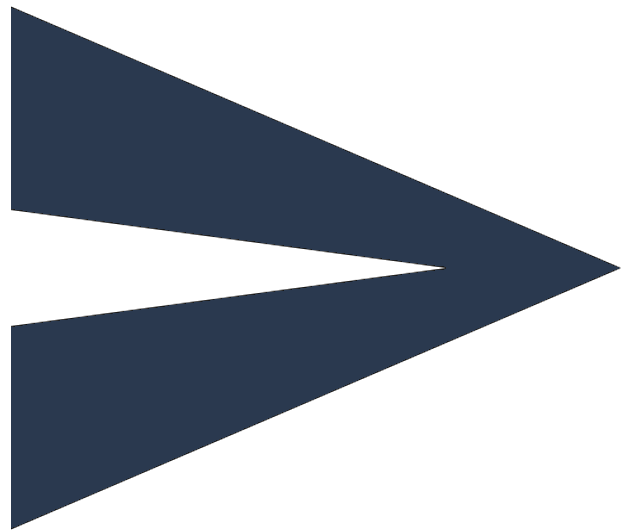 It includes topics such as Measuring Line Segments, Angles Right and ‘Straight’, Angles Acute Obtuse and Reflex, Measuring Angles, Perpendicular Lines, Classifications of Triangles, Quadrilaterals, Polygons, Three Dimensional Shapes, etc. It is important to have a good Understanding of Elementary Shapes as it forms the foundation of various other topics of maths. The given NCERT Solutions for Understanding Elementary Shapes includes every important topic and sub-topic from all the exercises and more. It will help you complete your homework on time and revise for school test and a final examination. In- Depth knowledge of Understanding Elementary Shapes is important in order to create interest in mathematics, as it forms a major part in mathematics. Students who are looking to score good marks in Class 6th Mathematics must put time and effort into learning the given NCERT solutions. For the ease of your learning, all the solutions are in a step-by- step manner for every question given in chapter 5 Understanding Elementary Shapes. Find here exercise wise solved questions from Chapter – 6 Integers. Given NCERT video tutorials are prepared by our expert mathematicians to build an understanding of the basic concepts included in the sixth chapter of NCERT maths textbook – Integers. 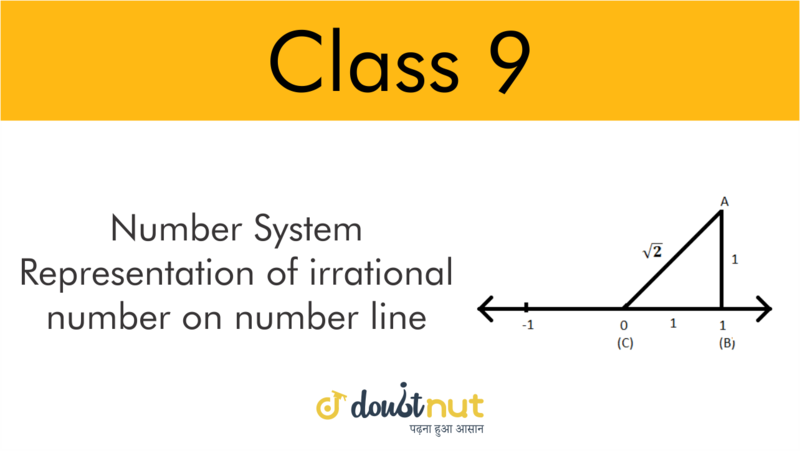 These NCERT solutions comprise of detailed explanation of all the concepts such as Introduction to Integers, Representation of Integers on a Number Line, Addition and Subtraction of Integers, Addition and Subtraction of Integers on Number Line, and a Lot More. These NCERT Video Solutions will help strengthen your fundamentals in the sixth chapter – Integers and will help you boost your score in the final examination. Refer to given NCERT Solutions anytime while doing your homework or preparing for final term exam. Fractions make an interesting and fun topic to learn in mathematics. Presented here are all the solved questions for Class 6 Maths Chapter 7 – Fractions. These exercise wise solutions are prepared with intentions to help do your homework faster and study for the final examination. Every video has been prepared in a step-by-step manner by our expert mathematicians, to help strengthen your foundation in fractions. Play any video tutorial and start studying right away. Exercise 7.1 Introduction, Exercise 7.2 A Fraction, Exercise 7.3 Fraction on the Number Line, Exercise 7.4 Proper Fractions, Exercise 7.5 Improper and Mixed Fractions, Exercise 7.6 Equivalent Fractions, Exercise 7.7 Simplest Form of a Fraction, Exercise 7.8 Like Fractions, Exercise 7.9 Comparing Fractions, Exercise 7.10 Addition and Subtraction of Fractions. You can also practice solved NCERT examples of Chapter 7 Fractions. Decimal is a numeral system for denoting the integers and non-integer numbers. In the decimal system, every digit describes the various power of ten. Decimal notation or the decimal point is used for representing the numbers in the decimal system. The decimal point helps in splitting the one's place from the tenths place in the number. The students can easily practice all the exercise-wise questions on decimals here. We have provided a complete solution for Class 6 Chapter 8 Decimals. By practicing with our easily sharable and downloadable NCERT Solutions for Decimals, Class 6th students can get familiarized with the topic of decimals and practice the concepts. All video tutorials are solved by our expert mathematicians. The solutions are in a simple step-by-step manner to build your foundation strong in Chapter 8 – Decimals. Data Handling deals with learning about different forms of data. The chapter talks about data handling in the analytical situation and methods of recording and organization of Data. The main discussed topics are an introduction to Pictograph, Interpretation of a Pictograph, Drawing a Pictograph, Introduction to a Bar Graph, Interpretation of a bar graph and Drawing a bar graph. You can practice here NCERT Solutions for Class 6 Maths Chapter 9 Data Handling in video tutorial format. All the solutions have been updated based on the latest CBSE syllabus and by following the NCERT Textbooks. The exercises you can learn includes Exercise 9.1 Introduction, Exercise 9.2 - Recording Data, Exercise 9.3 - Organisation of Data, Exercise 9.4 – Pictograph, Exercise 9.5 - Interpretation of a Pictograph, Exercise 9.6 - Drawing a Pictograph, Exercise 9.7 - A Bar Graph, Exercise 9.7.1 - Interpretation of a bar graph, Exercise 9.7.2 - Drawing a bar graph. 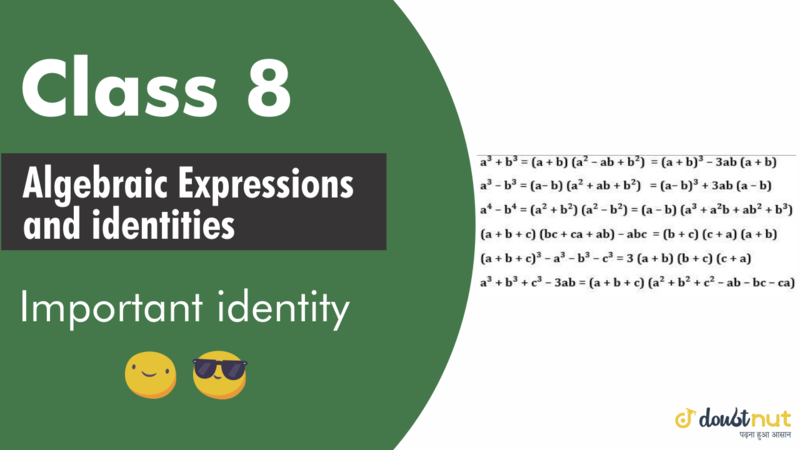 The videos are prepared in simple and easy to understand language covering interesting problems, solved and unsolved examples from NCERT Class 6 Mathematics Chapter 9. Pictorial and graphical representations are also given for the ease of your understanding. Start learning now! These NCERT solutions for Mensuration are capable of producing the best results for students in the school test and final examination. Also, with the help of NCERT Solutions for Class 6 Maths Mensuration, you can easily understand the important topics of future references if you wish to take an engineering examination as well. Algebra is one of the complex parts of maths. This chapter talks about the combination of the number theory, geometry symbols, patterns, variables, and their quantitative relationships! Provided here are the detailed exercise wise solutions for Chapter 11 Algebraincluding solved Exercise 11.1 Introduction, Exercise 11.2 Matchstick Pattern, Exercise 11.3 The Idea of Variables, Exercise 11.4 More Matchstick Patterns, Exercise 11.5 More Examples of Variables, Exercise 11.6 Use of variables in common rules, Exercise 11.7 Expression with variables, Exercise 11.8 Using Expressions practically, Exercise 11.9 What is an Equation? Exercise 11.10 Solutions of an Equation and Solved NCERT Exemplars. A ratio is a comparison of two numbers and proportion is an equation with a ratio on each side. It is a statement that two ratios are equal. For instance, 2/5 = 8/20 is a proportion of two rations. In mathematics, it is a very important concept. Chapter 12 begins with the concept of Ratio and gradually introduces with the concepts of proportions and associated problems. With an in-depth study of this chapter, you can learn some interesting concepts on ration and proportions. The NCERT solutions are provided for every and each question given this chapter. Doubtnut.com is popular amongst CBSE students as the most reliable and preferred online learning website. The NCERT Solutions for Class 6 Maths are based on the latest CBSE syllabus while following the latest version of the NCERT Maths textbook, which incorporates the CCE guidelines. Simply open the video of the question or topic that you wish to study and start doing your homework or preparing for the final examination.